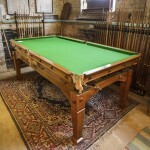 Antique Snooker Dining Tables | Browns Antiques Billiards and Interiors. 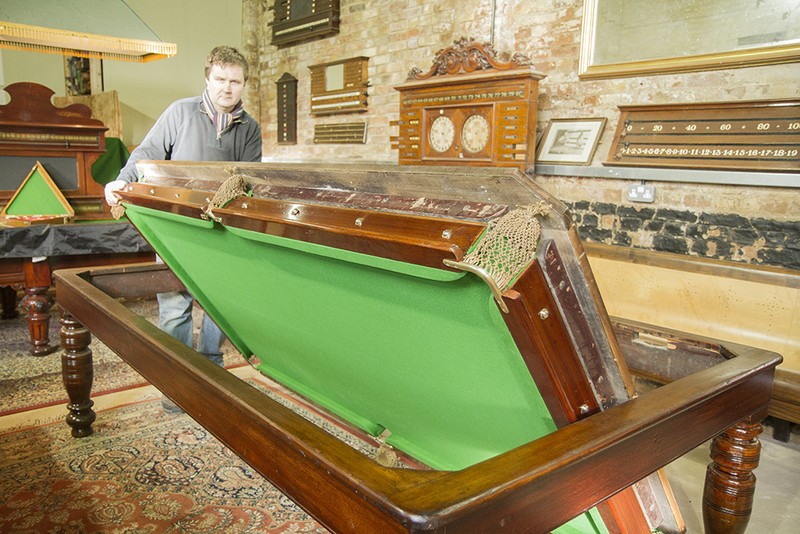 Antique snooker dining tables are one of the most popular items sold at Brown’s Antiques Billiards and Interiors. 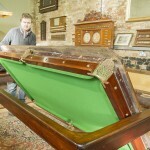 To view our current stock of antique snooker dining tables please click here. 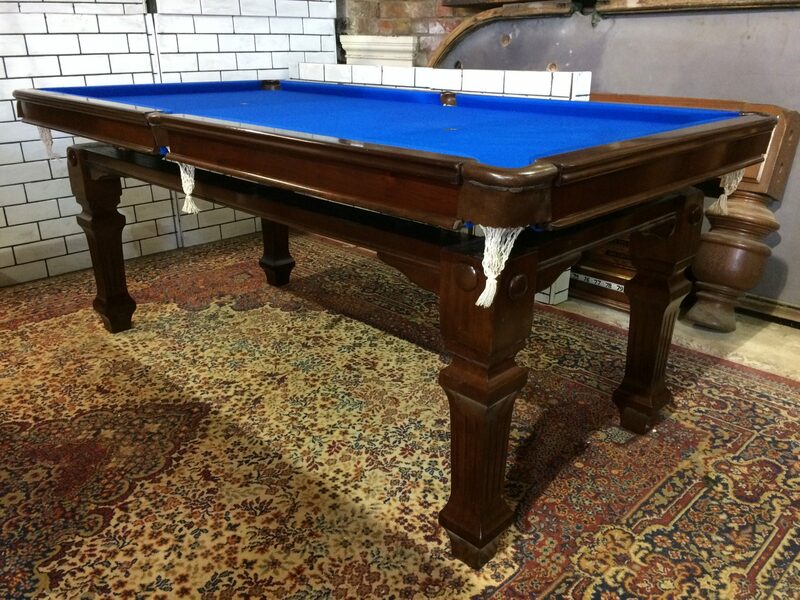 In this antique snooker dining tables information page, we hope to give you an idea of the tables we have for sale, and the work involved in restoring them. Also known as dual height billiard dining tables, convertible snooker dining tables, or combination billiard diners, these tables incorporate a mechanism to raise the table height from dining to playing height. We stock these tables in the following sizes: 6ft, 7ft, 8ft and 9ft, although the 9ft size is very rare. We can also supply a 5ft size on request, although we have found that this smaller table is not so popular. 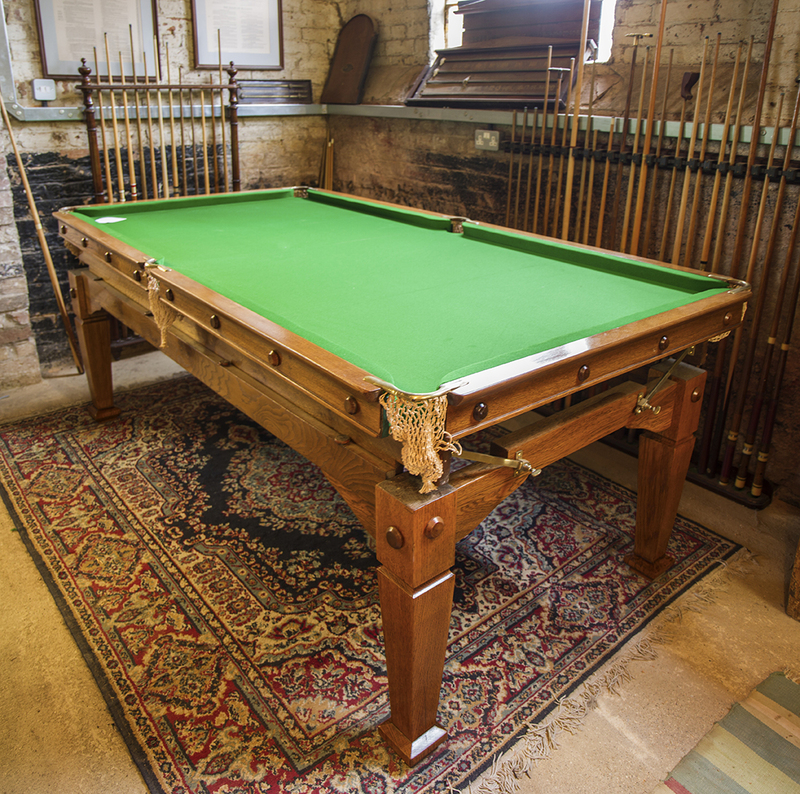 All of our antique snooker dining tables, or snooker diners have a slate bed, and removable dining leaves, which are usually simply lifted off to transform your dining table into a snooker table. The table mechanisms vary, the most well known probably being the Riley ‘rise and fall’ mechanism. This easy to use mechanism requires the table top to be lifted, one end at a time to raise the height. Simple to use. Other makes may use a ‘crank’ system. NEW! WATCH OUR VIDEO OF THE RILEY RISE AND FALL MECHANISM DEMO. HERE! One of our favourite mechanisms is the ‘rollover’ method, where the dining / playing surface literally rolls over, or spins, to convert from dining surface to playing surface. We stock convertible antique snooker diners in mahogany and oak. 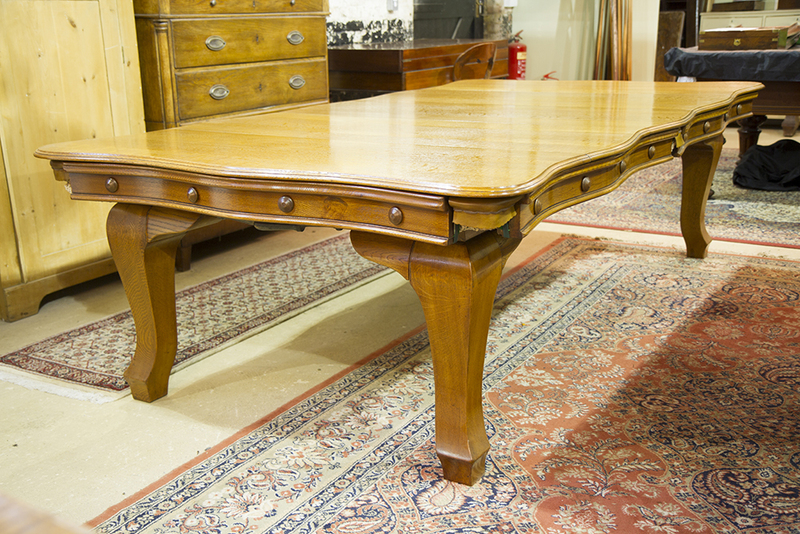 We generally restore all tables to order so that the customer’s preferences can be taken into account. 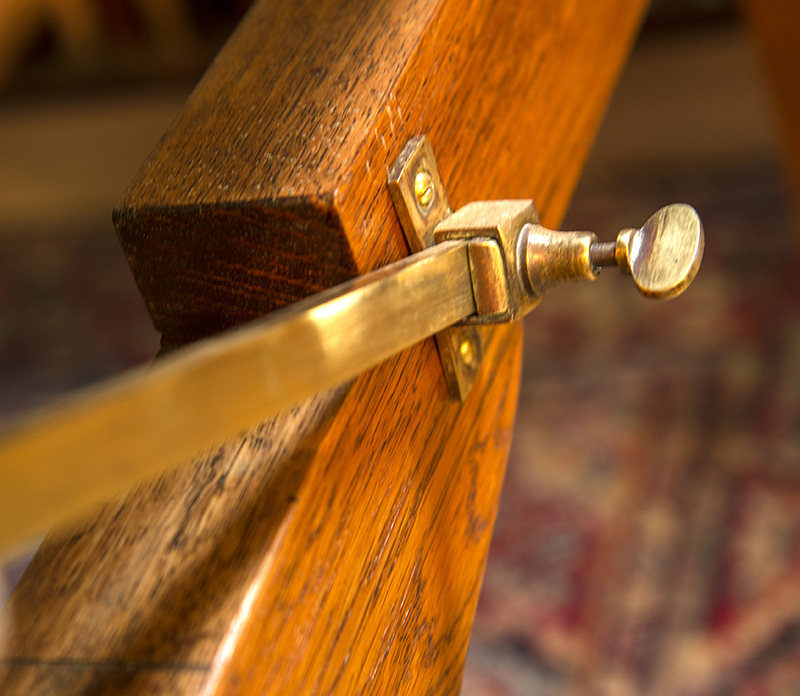 We will traditionally French polish the woodwork on your table, and re-cover the table and cushions using Best West of England Cloth. We also re-rubber the cushions. Other parts eg pockets and buttons are replaced where necessary. We pay great attention to detail and all restoration is carried out sympathetically, retaining the character of each table. We will prepare wooden colour samples . These samples will show the various tones of colour, and degree of sheen that can be achieved during French polishing. We will send these samples to you so that you can select the finish that you prefer. 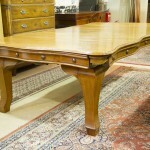 We will then restore your table to your chosen finish, emailing images to you as the restoration takes place. All antique snooker diners come with our ‘starter kit’ of cues, balls, chalk, triangle, and rules. 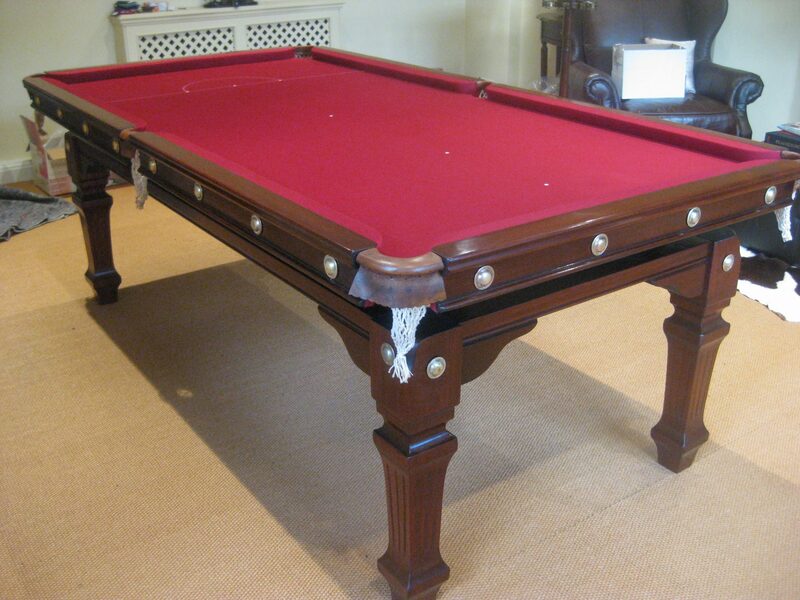 PLEASE CLICK ON THE GALLERY BELOW TO ENLARGE AND SCROLL THROUGH THESE CONVERTIBLE SNOOKER DINERS THAT WE HAVE RESTORED. 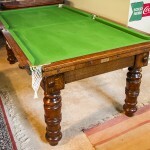 7ft Antique Riley Snooker Dining Table. Traditionally French polished and re-covered in Cherry Red cloth. 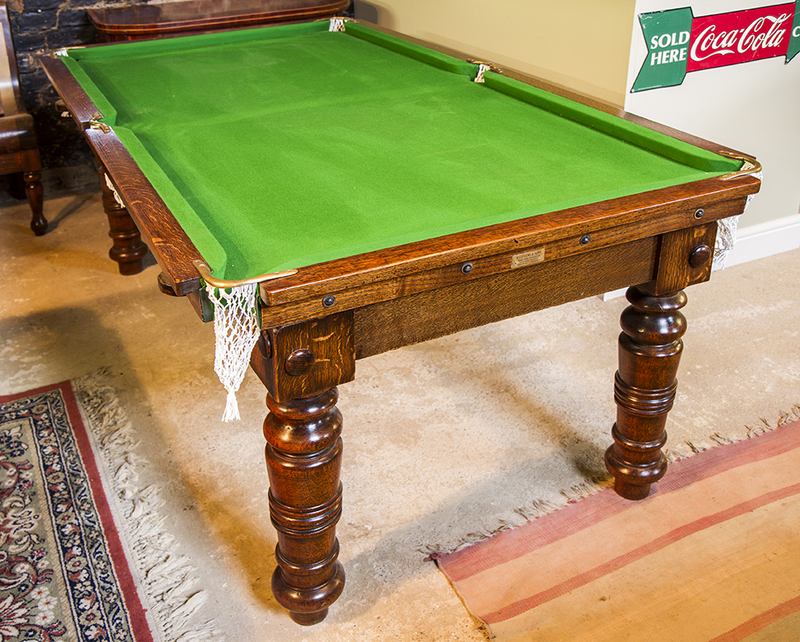 6ft Antique Snooker Dining Table. Antique Snooker Dining Table in oak.